St Lucia 1991 Cruise Ships Set. SG1060-SG1063. Unmounted mint 1991 Cruise Ships Set. SG1060-SG1063. 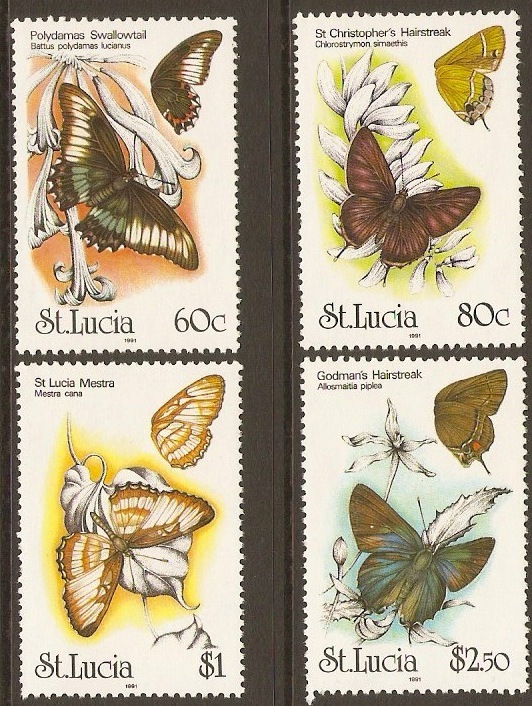 St Lucia 1991 Butterflies Set. SG1065-SG1068. Unmounted mint 1991 Butterflies Set. SG1065-SG1068. St Lucia 1991 Christmas Set. SG1069-SG1072. Unmounted mint 1991 Christmas Set. SG1069-SG1072. 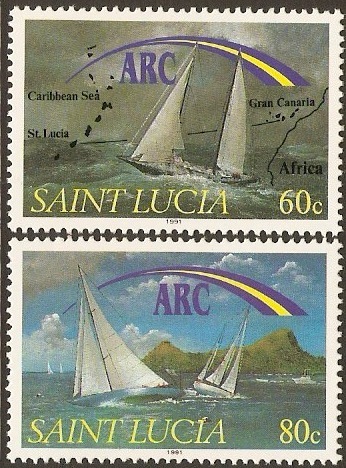 St Lucia 1991 Yacht Rally Set. SG1073-SG1074. Unmounted mint 1991 Yacht Rally Set. SG1073-SG1074. 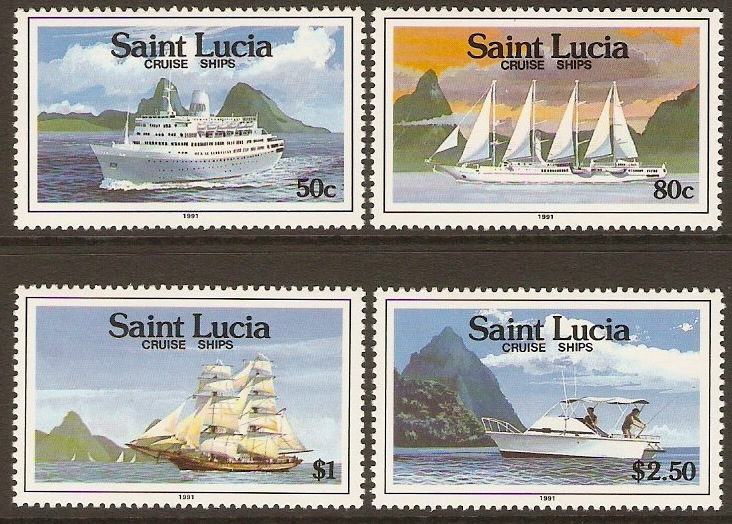 St Lucia 1992 Discovery Set. SG1077-SG1080. Unmounted mint 1992 Discovery Set. SG1077-SG1080. St Lucia 1992 Christmas Set. SG1092-SG1095. Unmounted mint 1992 Christmas Set. SG1092-SG1095. 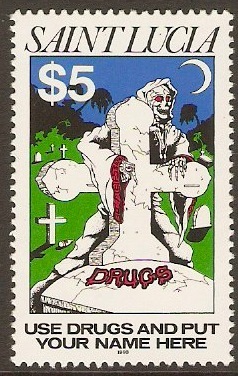 St Lucia 1993 $5 Anti-drugs Campaign Stamp. SG1096. Unmounted mint 1993 $5 Anti-drugs Campaign Stamp. SG1096. 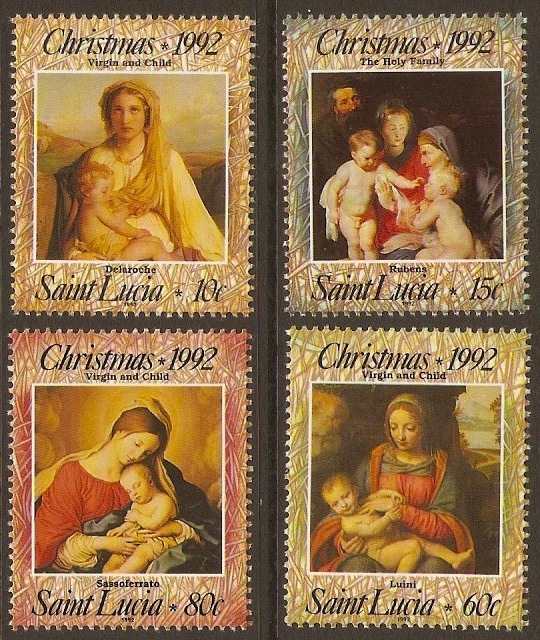 St Lucia 1993 Art Set. SG1097-SG1099. Unmounted mint 1993 Art Set. SG1097-SG1099. St Lucia 1993 Christmas Set. SG1100-SG1102. Unmounted mint 1993 Christmas Set. SG1100-SG1102. 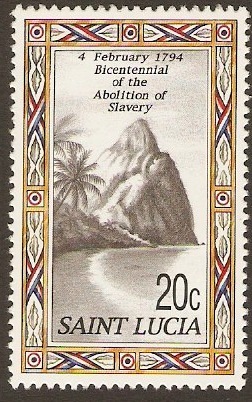 St Lucia 1994 20c Abolition of Slavery Stamp. SG1103. Unmounted mint 1994 20c Abolition of Slavery Stamp. SG1103.